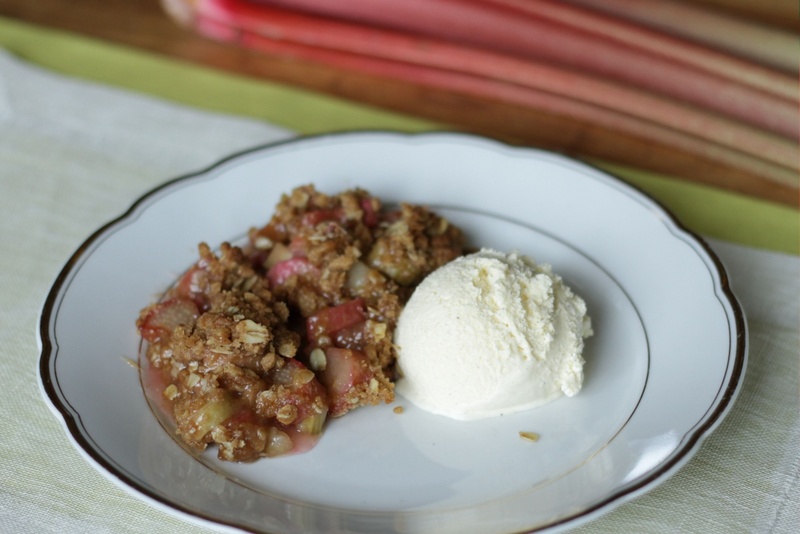 When it’s rhubarb season I’m always excited to make Rhubarb Crisp. It’s such an old-fashioned recipe that we tend to forget how delicious it really is. When served warm with a scoop of ice cream, you get the contrasts of hot and cold, crunchy and creamy, and tart and sweet. 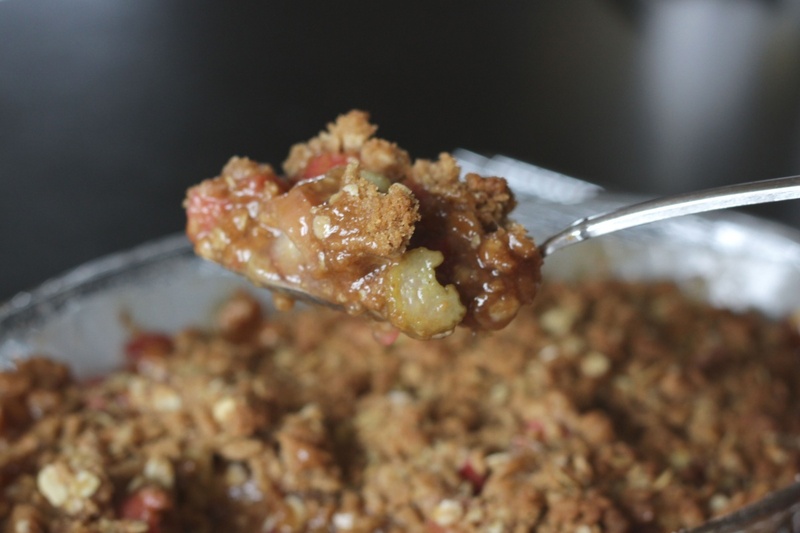 One of the easiest and best desserts imaginable. Preheat oven to 375°F (190°C). Butter a small (8 x 8 inches or 30 cm long rectangular or oval) baking pan. 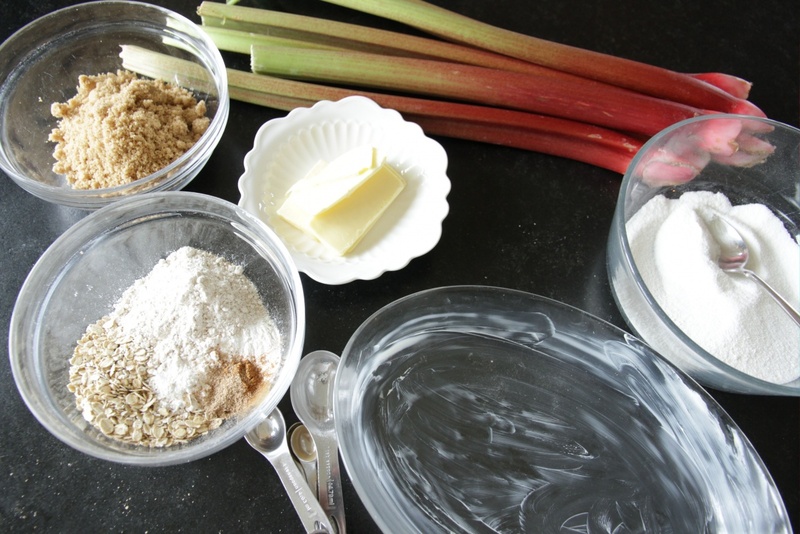 Stir together the white sugar and 3 tablespoons all-purpose flour in a medium-sized bowl. 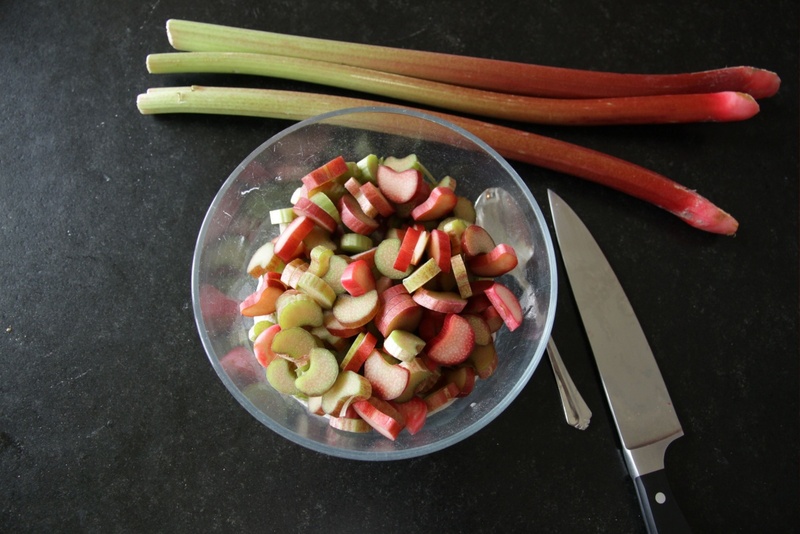 Stir in the sliced rhubarb and distribute the rhubarb-sugar mixture evenly over the bottom of the prepared baking dish. 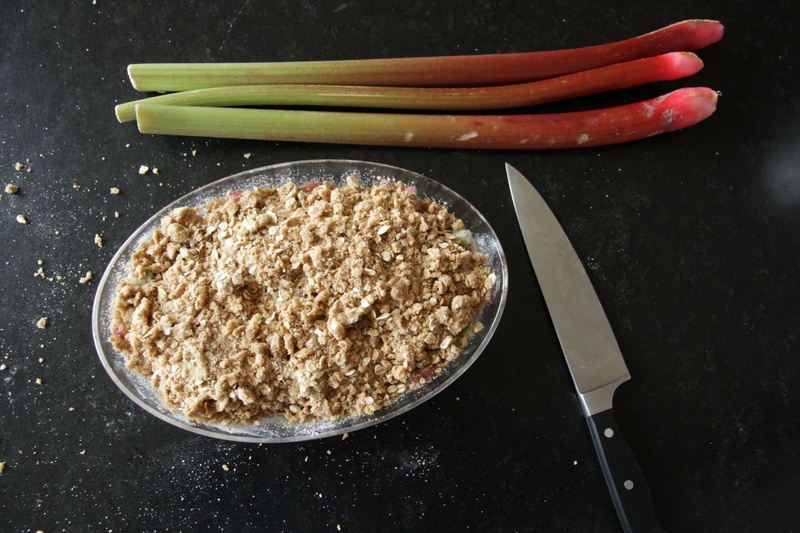 With your fingers, combine the remaining ingredients in a medium bowl to make the topping until mixture resembles coarse crumbs. 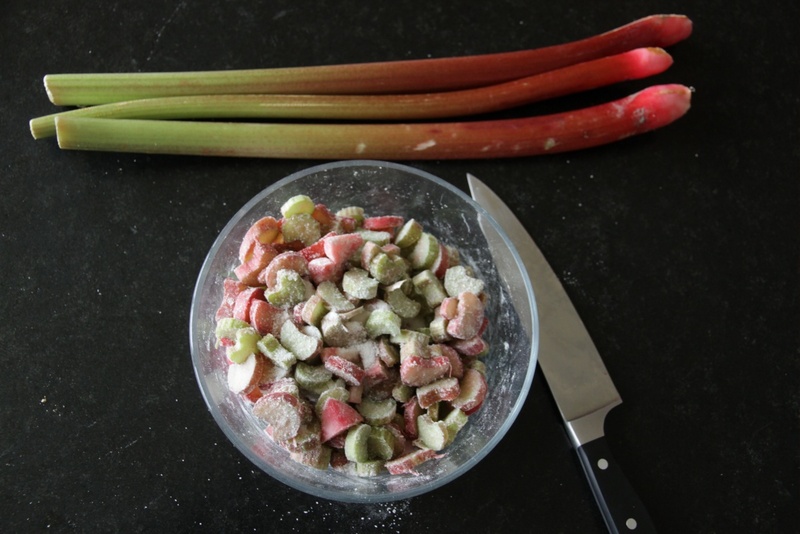 Sprinkle topping over the rhubarb. 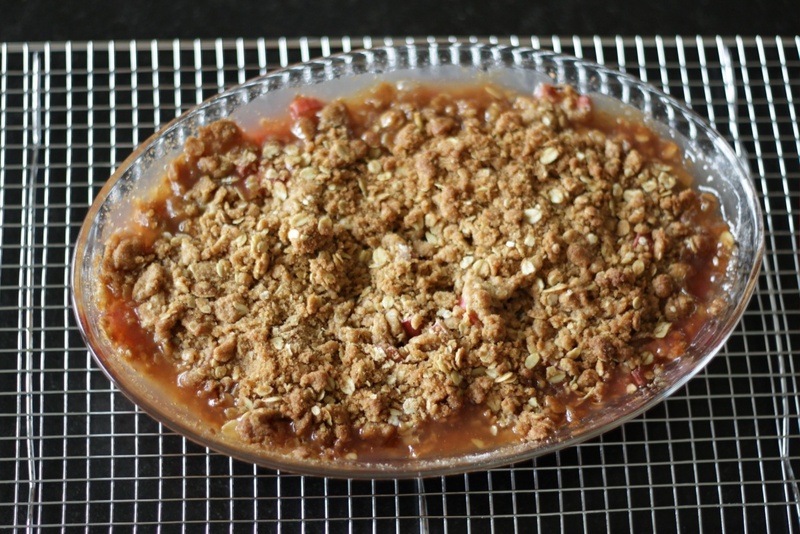 Bake for about 30 minutes until topping is browned and filling is bubbly around edges of pan. Serve warm or at room temperature. 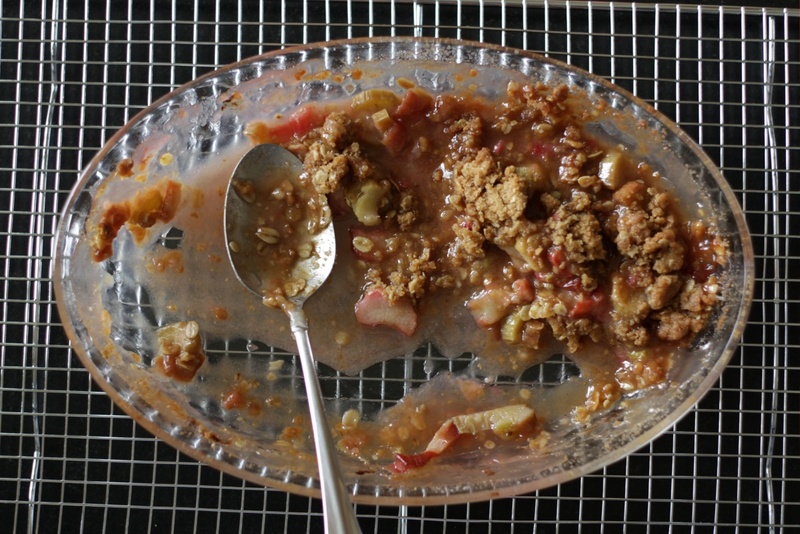 Adapted from Betty Crocker and Better Homes & Gardens cookbooks.